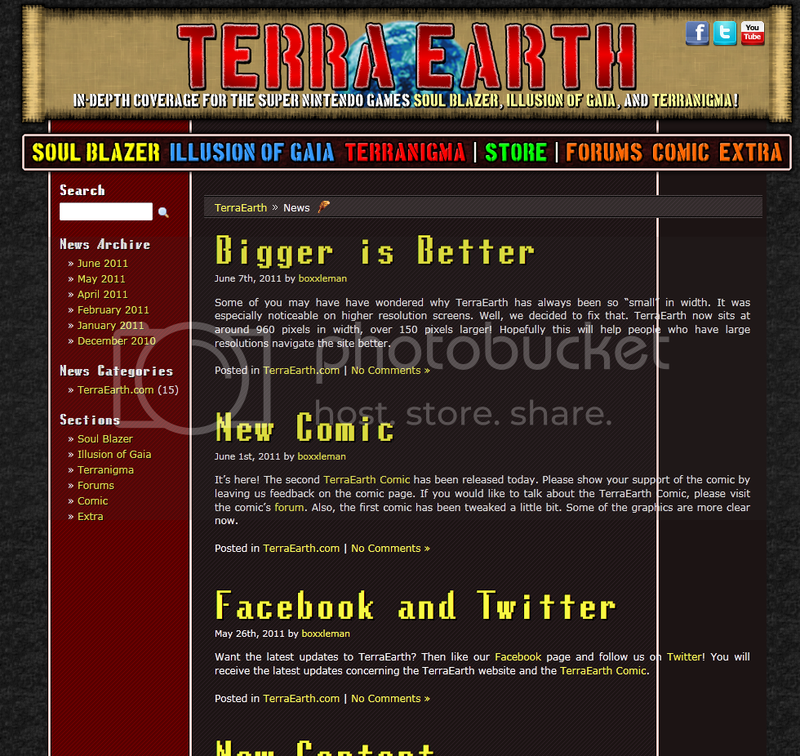 This entry was posted on Tuesday, June 7th, 2011 at 9:09 pm by boxxleman and is filed under TerraEarth.com. You can follow any responses to this entry through the RSS 2.0 feed. Responses are currently closed, but you can trackback from your own site. I think the only problem right now with it is this. That’s how it looks on my computer screen. Just so you know I don’t know how it looks on other screens, but hope that helps. My resolution is something crazy too (1920 x 1080). Dunno if there’s some new swanky html (or whatever kids are calling it these days ) to get it to conform to width, but hey. What browser are you using? Shows up fine on all major browsers for me – IE, Chrome, FireFox and Safari. Try clearing your catch and refreshing the page. Ah, it looks as if your background image didn’t update, while the rest of the site did. Try doing what I mentioned before, clearing out your history and cache and such, and it will look fine.